Offers Steady and Stabile Boarding. Well supported against the bow. Folding model for easier storage. When the HR342 is fitted with a Bow Sprit, The Bow Ladder needs to be a little off centre positioned at the bow. 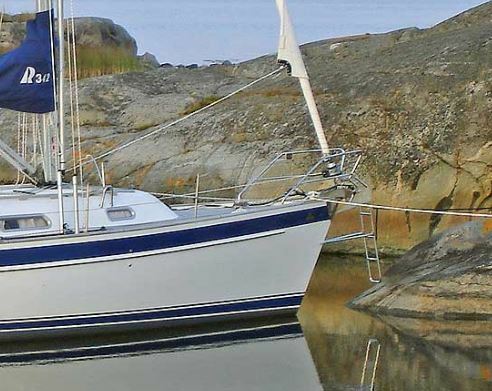 The HR342 have been equipped with a 16 kg Delta Anchor from the start. 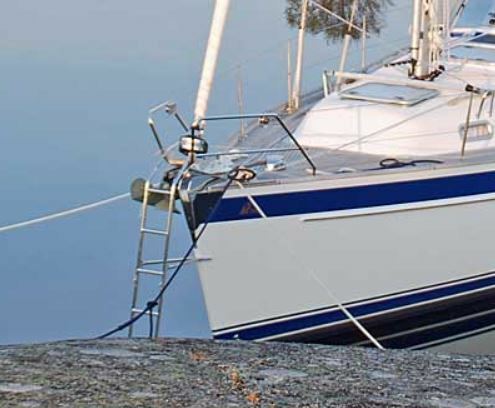 The Bow Ladder fits well to boats with this 16 kg anchor, also in combination with Bow Sprit.